The Trame chair by Amandine Chhor & Aïssa Logerot for Petite Friture is a seat that plays with contrasts. 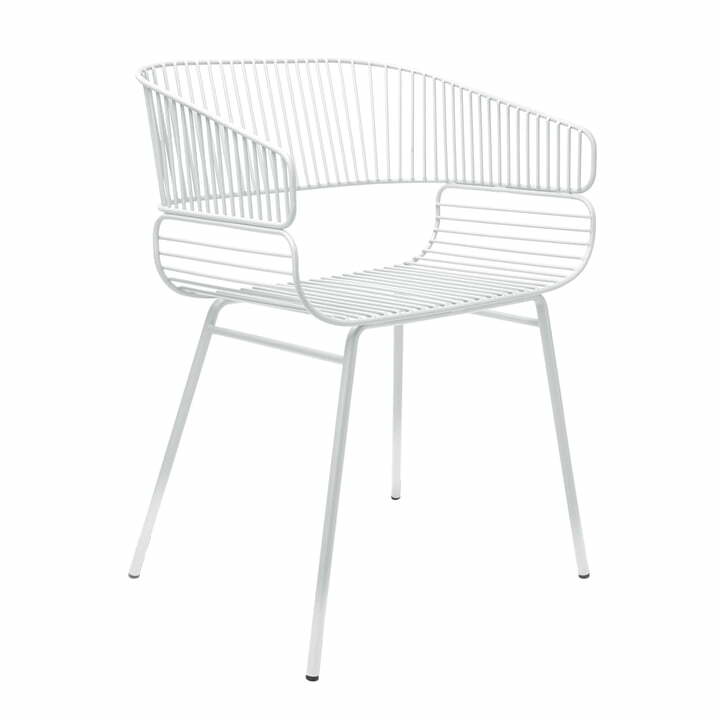 The chair is made of two welded steel bars, which stand out due to their curved surfaces. The design for this exceptional piece of furniture comes from Amandine Chhor & Aïssa Langerot. The stackable garden chair is made from powder-coated aluminium. The backrest as well as the seat surface each consist of a curved lattice structure which makes up the shell of the chair and is supported by a four-legged frame. The chair plays with space and looks delicate as well as snug. The soft curves and the robust material are astonishing, while the high comfort is surprising on such an airy surface. The special colour allows for a use indoors and outdoors. A cushion can be added for indoor use. The Trame chair by Amandine Chhor & Aïssa Logerot for Petite Friture is a seat that plays with contrasts. 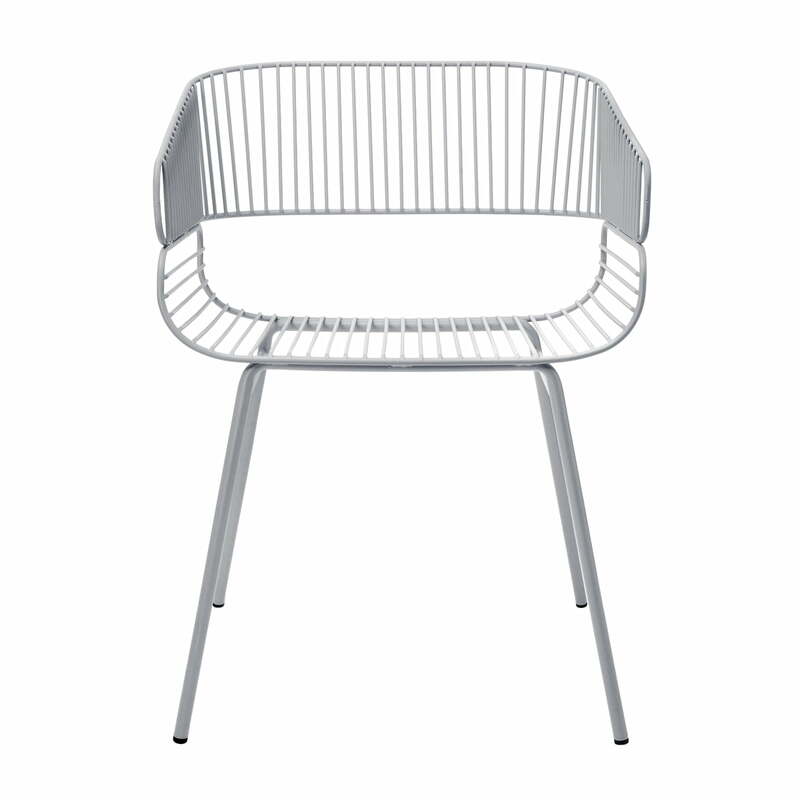 The chair is made of two welded steel bars, which stand out due to their curved surfaces. 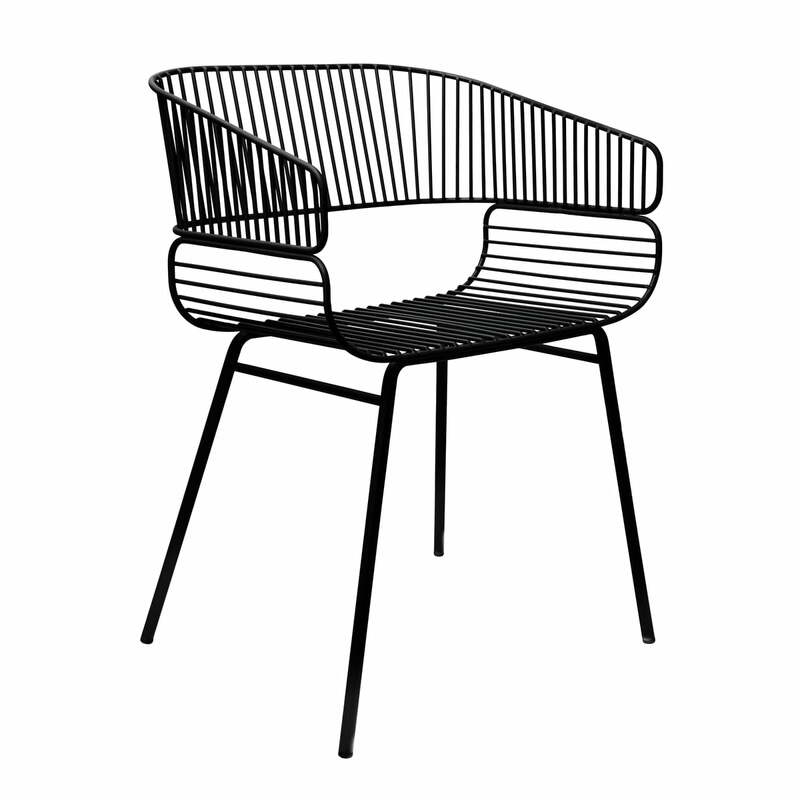 Isolated product image of the Trame chair by Petite Friture in black. The design for this exceptional piece of furniture comes from Amandine Chhor & Aïssa Langerot. The backrest as well as the seat surface each consist of a curved lattice structure which makes up the shell of the chair and is supported by a four-legged frame.